The signal interference is the biggest hindrance when it comes to developing the millimeter waves into 5G. They can be easily disrupted, even if someone merely walks between the receiver and the transmitter. MmWaves ask for expert level of technological intervention to be equipped reliably. 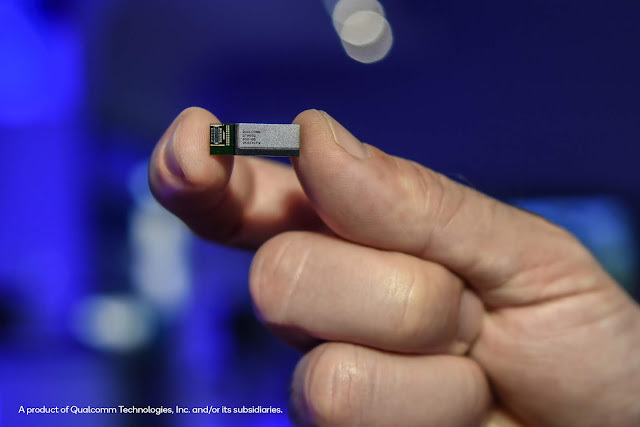 Saying that, Qualcomm has revealed what it claims to be the "first fully-integrated 5G NR mmWave and sub-6 GHz RF modules for smartphones and other mobile devices." They are QTMO52 mmWave antenna module family, also, the QPM56xx sub-6 GHz radio frequency (RF) module, and will be coupled with the Snapdragon X50 5G modem, announced previously by the company. A number of phone companies have already stated that they will be collaborating with Qualcomm and a majority of these have said to provide X50-powered phones by early 2019. Samsung, HTC, LG, Sony and Xiaomi are among the major names. These mobile devices most probably will work via the antenna and RF modules that were announced today. Qualcomm has also affirmed these claims and says that the samples have already been shipped out to the partnered companies. A smartphone can hold up to 4 modules of the size of a fingertip. The antennas get to detect the waves with the help of 5G NR radio Transceiver along with other components, coupled with X50 modem. The company states that "a working mobile mmWave solution... was previously thought unattainable." However, according to Qualcomm, it is now ready for commercialization on a huge scale. This means that soon, we will be holding the devices that operate on 5G networks by early 2019.